Nice blog you have here. Nice thoughts on Piper, Boyd, and love. There are false winds of doctrine blowing in the Church, and there always shall be. I believe Greg is the teacher of one of these false winds, Open Theism. This false teaching is outside of orthodoxy. It would be grouped with other false doctrine, such as God is not a Triune God, Jesus is not God, Jesus was not born of a virgin, and so many other heresies in the Church. Is Boyd a brother in Christ, I don't know for sure. he could be. I like his passion, but I don't like how he blends politics with Christianity, as some Christinas do, like Shane Claiborne as well, and Pat Robertson, Jerry Fallwell, and others did on the other side of politics. Piper is a fine pastor as far as I know, and he is a sound teacher in the Church. His Calvinism is basic. The same as Spurgeon, Edwrads, John Newton, RC Sproul, JC Ryle, Hudson Taylor, William Carey, and so many others. The Reformed and non-Reformed Christians will forever have their conflicts in this age. I am Reformed and have many good non-Reformed friends, who are way better Christinas than me. We can love Christ together, abd serve Him, and glorify Him, which is the bottom line really. Well, those are a few of my spontaneous thoughts. Hope you don't mind them. Don;t read too much into them, until you get to know me better, if that even happens. You seem to have a heart that seeks the truth, and you cannot go wrong there, that's for sure. There is truth that Christians will die for, and even be tortured for. And there are perephial truths that don't matter. Thanks for the comments, Don. Trust me, Boyd IS a Believer. Both he and Piper are. I've seen the evidence of the Fruit of the Spirit in both their lives...and that is the ultimate proof. For myself, I would distinguish between "Incorrect" theology/teaching, and "False" teaching, (Piper has a few ideas that I think are just plain crazy)...and certainly about someone being called a False Teacher/Heretic. (Biblically, that seems to be reserved pretty much for anyone who teaches that Jesus isn't the only way to salvation. The fact of the matter is that I have never agreed 100% with any theologian out there on every single minute detail. But that shouldn't be the issue, even though it so often is. The REAL issue ought to be whether or not they have a true relationship with Jesus...with that being evident on a regular basis by the fruit they produce from the Holy Spirit. I enjoy hearing and learning about different people's takes are on Scripture, spirituality & such. What we all need to remember is that we are finite beings trying to make sense of the Infinite God. So our understandings will always be incomplete. God Himself made it clear that we will never fully understand Him in this life. I think all Christians need to keep that in mind, especially when going after other Believers. Good to hear about Boyd. He is an expert drummer, but not an expert in the Scriptures, and that's alright, I'm neither. There is a lot said about the ministers of righteousness, who are ministers of Satan. They come as wolves in sheeps clothing. The Word of Faith Tv preachers, as you noted, fulfill God's word in that resepct. "For many, of whom I have often told you and now tell you even with tears, walk as enemies of the cross of Christ. Their end is destruction, their god is their belly, and they glory in their shame, with minds set on earthly things." "As we have said before, so now I say again: If anyone is preaching to you a gospel contrary to the one you received, let him be accursed." I agree that Christians must have the Gospel in common, and the good news is Jesus Christ, who died on the Cross for our sins, and rose from the dead, and is Lord of all, and Savior of all who believe, and seek Him for forgiveness for their sins. And of course we have the whole rest of the Holy Bible to read, study, and meditate upon. But it's treasure for us, God's children. It's food that Jesus said we need to live on, and not just bread. It's a lamp and a light for our minda, and it's a comfort to our hearts, most of all that God loves us with an everlasting love (Jer. 31:3). You have a good blog here, and I appreciate you letting me discuss these things with you. Keep on my brother. The Lord will return, and He will reward His fiathful servants, and children. re. Boyd and Open Theism and your comments "I think the Bible is fairly clear that God is all-knowing". Open Theists would believe that completely and unreservedly. They believe that God is Omniscient. The issue in essence is a philosophical dispute over the nature of the future. 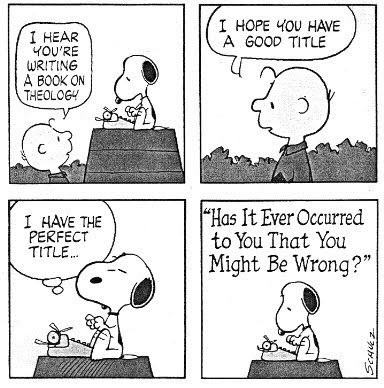 Calvinists believe that the future is fixed and can be known in a fixed comprehensive way, whereas Open Theists believe that the future is made up of possibilities (+ some fixed things eg the second coming). Hence, both believe God knows the future, but it is just that Open Theists view what is in the box called 'the future' are possibilities. Now God with infinite intelligence knows about every possible scenerio the future could take on (like a mega-genius Chess Master covering every possible move), hence nothing Surprises him, hence Romans 8 that nothing that happens can seperate us from the love of God and that He will work all things together for good. FWIW I attended Woodland Hills and actually worked behind the scenes in ministry for a while years ago... 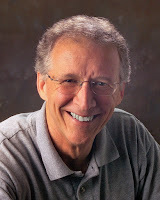 I would describe Greg Boyd as a manic vindicator, who thinks he knows more than God does. His sermons do not edify, they confuse. It has nothing to do with IQ, or brilliance,but rather spirit and motivation. If you wanted to know how Greg would respond to Gods command I would say based on his sermons and writings it is in short "why should I?" Gregs desire to explain everything has him in a tremendous rut. Sorry for the late reply. I've been out of town. Anyway, no one ever get's the God of the bible perfectly correct. This God is simply too big for us to fully wrap our heads around. At the end of the day, what matters to me is that both of these men love Jesus. After that, there is some room for discussion. I'm not a Calvinist...not exactly an Arminian either, so I don't like being told by Piper that I "Walk with a spiritual limp." But I don't really believe in Open Theism either...not that I fully understand it. Anyway, Jesus is big enough to handle all of us.